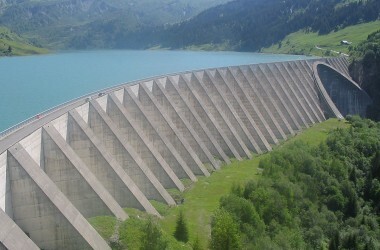 According to a research study on water resources of Pakistan , approximately water having economic values of $70 billion is being thrown into sea every year due to non-construction of water reservoirs. A water starved country, which has the foreign reserve of only $20 billion, can’t afford throwing water of economic value of $70 billion every year into sea. Study of Pakistan Counsel of Research on the water resources of Pakistan(PCRWR) revealed that rapid depletion of ground water may soon worsen the water crisis in Pakistan’s major cities, causing a drought-like situation. Such crisis needs to be taken on war footings; otherwise, a large section of Pakistan’s population, especially those living in big cities, will be facing severe shortage of water. Due to excessive pumping of underground water, the quality of underground water is being contaminated rapidly with heavy metals like Copper, Nickel and Cobalt etc, which are the causes of spread of Hepatitis in the people of Pakistan , especially in those living in big cities. The problem of water shortage in Pakistan has gained the momentum as our water storage capacity is only for 30 days, and Pakistan has the 4th highest rate of water use in the world. It simply means that water intensity rate – the amount of water in cubic meters used per unit of GDP is the world highest and no country’s economy is more water intensive than that of Pakistan .